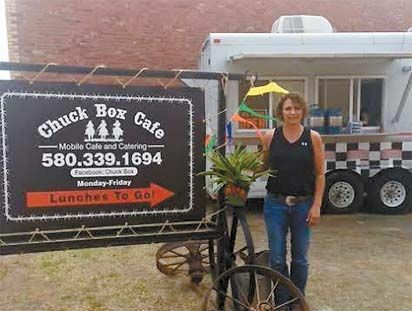 The Leedey Chamber of Commerce would like to welcome the Chuck Box Cafe to town! Carol Marie Brown is the proud owner of Leedey’s newest business. Carol has 17 years of experience in the restaurant industry. Her burgers, along with all other menu items are cooked and served fresh. The Chuck Box has a daily special that includes home cooked items such as beef tips, enchiladas and calf fries. Every day there is different meal waiting for you. All desserts are made from scratch. Those cinnamon rolls will melt in your mouth!